Synopsis: A pair of mercenaries in ancient China find themselves helping the Chinese militia defend the Great Wall against rampaging monsters. 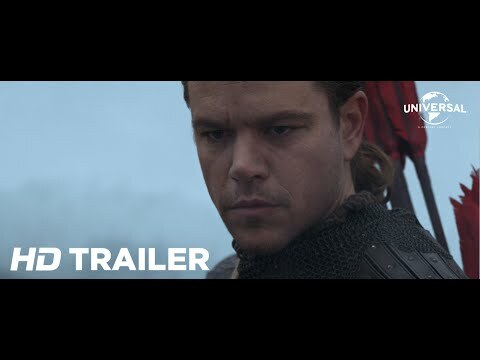 Although it takes place many centuries before the colonisation of America, a miscast Matt Damon (Interstellar, Jason Bourne) makes little effort to employ a non-American accent in The Great Wall, Zheng Yimou’s visually engaging but otherwise empty action-adventure. 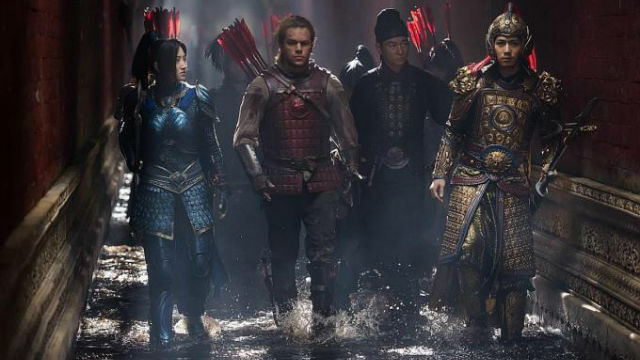 A Chinese-US co-production, The Great Wall is China’s most expensive movie to date and marks a concerted effort by that country to produce the kind of showy extravaganza that Hollywood has monopolised for decades. Damon plays William Garin, a mercenary warrior in ancient China who, with his partner-in-crime Pero Tovar (Pedro Pascal), is seeking the black powder with which he hopes to make a fortune in the Western world. In the film’s early scenes, these two adventurers trade lukewarm banter and are chased by a posse like some ancient version of Butch and Sundance. After five minutes, a rider falls from his horse in slow-motion and the realisation that there will be little in the way of original ideas hits home. Chased by strange dragon-like monsters, the two men seek refuge within the heavily fortified Great Wall where they are held virtual prisoners by a military community preparing itself for an attack from the beasts who only awaken every 60 years. The green creatures, of ferocious speed and mean disposition, scale the wall like the zombies in World War Z while women warriors armed with spears and attached to bungee cords leap from parapets to try and slow them down. These early battle scenes are slick and effective, but the CGI monsters are cartoonish. After twenty minutes, the film’s hectic pace calms down long enough for the cliches and stereotypes to serve notice of every bland development that is headed our way. Everything is predictable, from the near-romance Garin enters into with female commander Lin Mei (Tian Jing) to the betrayal from an obvious source, and the outcome of Garin’s personal voyage that sees him finally learn how to place trust in those around him. The Great Wall plays so safe that it is instantly forgettable despite its impressive visuals – it’s all spectacle and little depth. The film’s attempts to portray Garin and Tovar as buccaneering adventurers falls flat thanks largely to a lack of chemistry between the two men and a pedestrian script that takes no chances whatsoever.